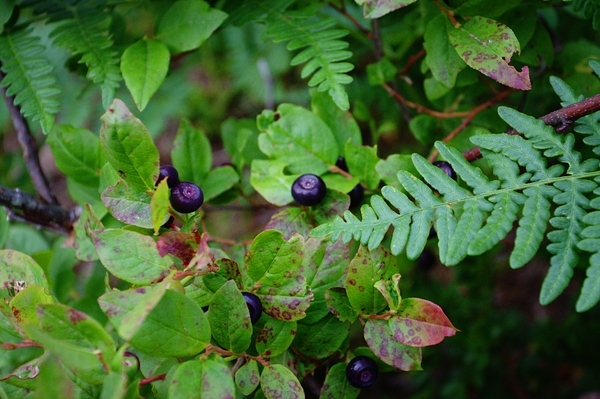 An activity I love to do in the Kootenays during the summer is to forage for huckleberries. This past week while visiting my parents I had the opportunity to go out to our favorite spot in the Monashee Mountains and pick. The berries are abundant this year and within an hour I already had half a pale picked. Since I had left after work for picking, I decided after a half hour more it was time to head home. 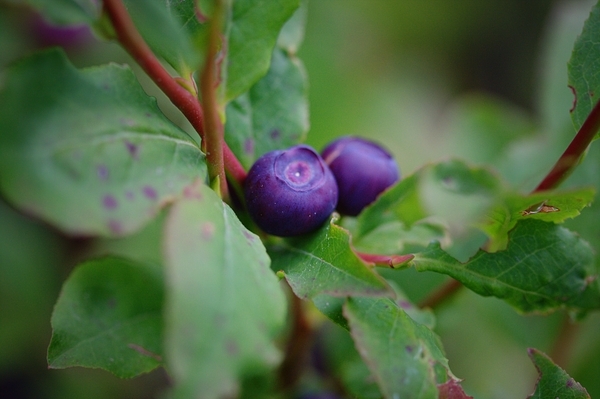 A huckleberry is similar to a blueberry except that it is a little smaller, and tastes more tart, with a very intense flavor. Personally I prefer them to blueberries. 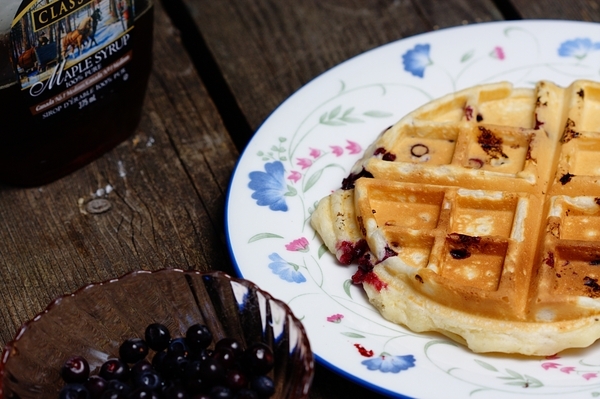 I wanted to make something easy with the huckleberries (eating them on my granola was a little too easy) as I was spending most of my time on the lake at my parents camp, so I decided some huckleberry waffles were in order. Start by mixing the yolks and the whites in separate bowls until they are light and fluffy. Then mix in the remaining wet ingredients into the yolks until well mixed. In another bowl combine the dry ingredients until well mixed. Then slowly mix the dry ingredients into the wet ingredients. Fold in the egg whites until just mixed in. Finally add the huckleberries. That is it, pretty simple. You can keep the batter in the fridge or use it right away. 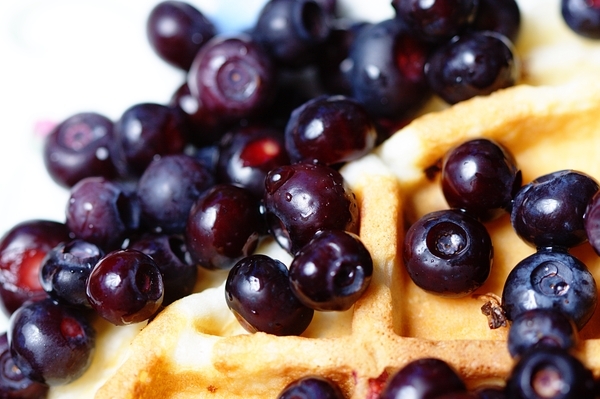 If you are to keep the batter in the fridge make sure not to mix in the huckleberries. To cook you simply just want to put the batter in your preheated waffle maker and away you go. 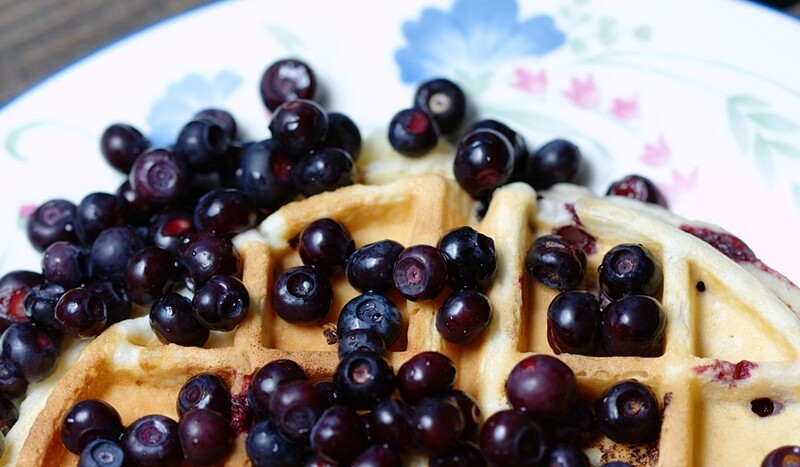 My family all agreed, huckleberry waffles were a great way to start the day. Klopp's Kitchen follows Stefan Klopp's adventures with baking and cooking. Stefan focuses on baking European style cakes and desserts, and cooking hearty, locally sourced meals.